Happy Monday! 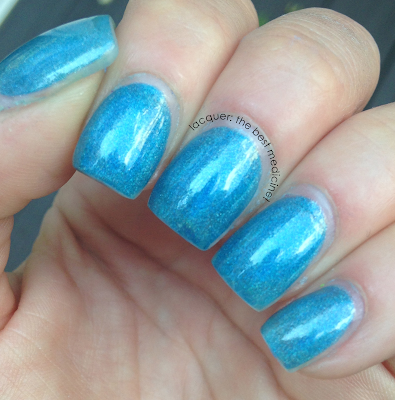 Today's blue mani comes to you courtesy of Born Pretty Store. I received this polish for free after I saw they were giving a bunch away to their blog readers just for spreading the word about their holographic polishes. The polishes don't have any names; just numbers. I was sent Holographic Polish #8. So are you in LOVE or what!? Isn't it beautiful? All swatches pictured are three coats of BPS Holo #8. It applied like a jelly, which is AWESOME, because jellies are so easy to apply! At first I wasn't sure if the photos would pick up the full effect, but they definitely did. OoOoOoOoooo... raiiiinbows! The only complaint I had about this polish was the shape/size of the bottle; it was very small and square, and the brush was teeeeeny! So, it was a little bit difficult to hold...but not really a big deal.. especially for a stunner like this! Even in the shade, it is a gorgeous blue color. Check out the swatches! LOL - I couldn't stop taking pictures of this one. I'm lovin' it! The Born Pretty Store holo polishes usually go for $12.88/bottle, which is a little bit pricey, especially for a mini. HOWEVER, they are currently on sale for $5.59/bottle! So pick some up while they're still cheap! Plus, use my Born Pretty Store 10% Discount Code LTBMK31 to take 10% off of your entire order at www.bornprettystore.com; and shipping is always free worldwide! 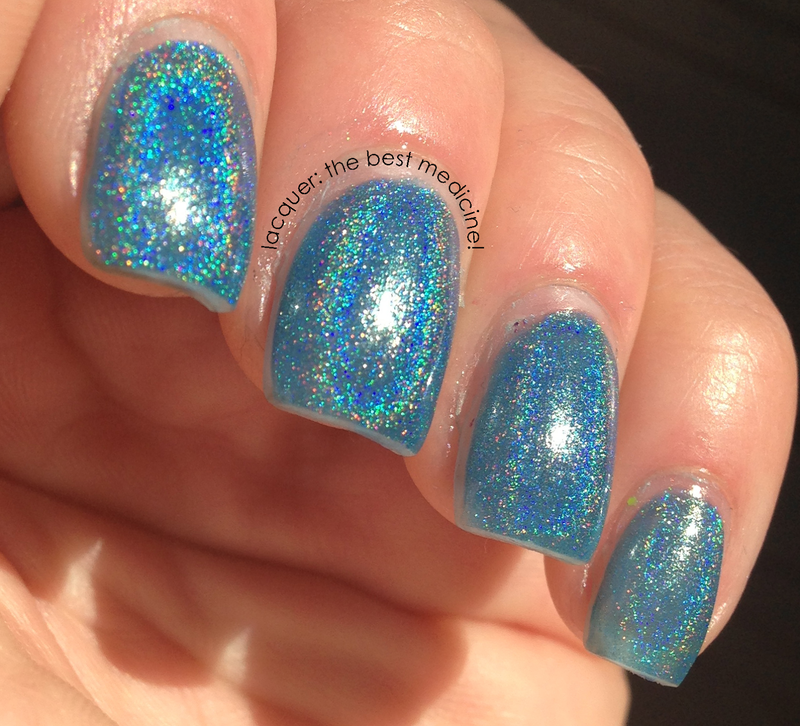 The color is gorgeous and the holo effect is so strong. Love!